Dioxin level 1: Type Approval Products. Replacement Type. Use high dust repair rate. Corresponds work in first control area Asbestos work level 2-3: Removal work of asbestos containing lagging material, fire resistant covering material, heat insulator. Other asbestos containing building material (like molds) removal work. I always have one filter, but I chose two with a whim, a little breath is comfortable? If you are good to go with it, I will buy it again. This review is about item#7076447. As usual it is good as usual. I think there is no room for improvement. 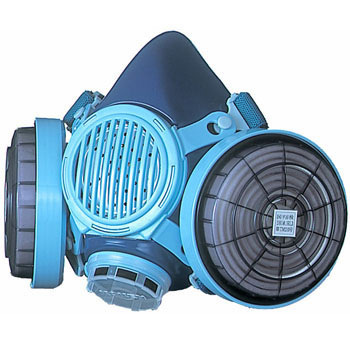 Previously, I used a simple type mask, but as I thought about measures against dust, it was not perfect so I decided on this product considering work safety, health damage, etc. This review is about item#07076447.